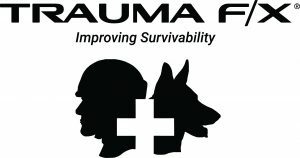 ITLS is proud to showcase these vendors who will be in the Exhibit Hall at the International Trauma Conference. Vendors are added as they register, so check back frequently for updates! ACEP is a national medical specialty society representing emergency medicine with more than 37,000 members. ACEP is committed to advancing and supporting EMS and EMS Medical Directors through continuing education, research, public education, public policy and advocacy. ACEP is headquartered in Dallas, Texas. At Barnes-Jewish Hospital, patients are provided with comprehensive health care services, from the time they arrive until after delivery of care and their return home. With specialties in all areas, Barnes-Jewish Hospital is recognized nationally for treating patients with conditions from minor to the most critical. Barnes-Jewish Hospital is a 1,315 bed teaching hospital affiliated with Washington University. The hospital has a 1,763 member medical staff, with many recognized as Best Doctors in America. Barnes-Jewish is a member of the BJC HealthCare, which provides a full range of health care services through its 13 hospital and more than 100 health care sites in Missouri and Illinois. U.S. News and World Report consistently recognizes Barnes-Jewish Hospital and Washington University Physicians on its elite Honor Roll of America’s Best Hospitals. Innovative Tactical Training Solutions is a Kentucky based Service Disabled Veteran Owned Small Business. We believe that training can only be measured by the number of lives saved, period. ITTS manufactures hyper-realistic trauma medical mannequins and scenario support simulators that enable experiential learning opportunities. Our outside-the-wire experience goes into our industry-leading rugged design and manufacturing. Our products set the standard for durability and realism in the most austere environments. Kforce Government Solutions (KGS) is dedicated to developing innovative medical simulation and training technologies that improve survivability of traumatic injuries. Our TraumaFX line of high-fidelity, ruggedized patient simulators deliver a powerful, lifelike experience for trainees while enabling field exercises to be held in any environment or weather condition. Advanced sensor technology monitors critical treatment procedures and immediately transmits data to trainers wirelessly to optimize instruction in real-time. We offer a broad portfolio of TraumaFX simulators that allow emergency medical professionals to experience the complexities of treating severe injuries, properly and effectively, in real world situations. 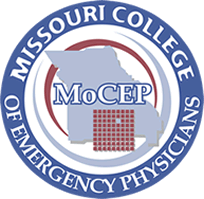 The Missouri College of Emergency Physicians (MOCEP) is a not for profit organization created to support and advocate for Emergency Medical Physicians (EMPs) practicing in the state of Missouri. MOCEP is a state chapter of the American College of Emergency Physicians (ACEP). The mission of MOCEP is to support the highest quality emergency medicine care and to serve as advocates for our patients, our members and our specialty. Discover the lifesaving difference that Products with a Mission® make in the prehospital environment. 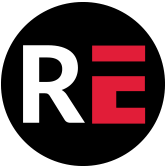 As a premier developer of innovative medical/rescue equipment, North American Rescue empowers today’s first responders with the tailored, mission-enabling healthcare solutions needed to counter the rapidly evolving threats of the 21st century. From the point of wounding to the doors of the trauma center, our combat-proven tools are designed to increase the survivability of the wounded as well as those who administer their care on the frontline. Visit our booth at the International Trauma Conference to explore your options! For over 30 years, Brady has been publishing educational materials for the EMS community. Behind this is our core mission to provide quality content for students and professionals in both EMS and Fire. We’re committed to all the people we’ve proudly served — those who were educated by us, and those they help everyday. In everything we do — It’s About People. Trust. Innovation. PreMed Training Group has provided Advanced Life Support education for EMS, Physicians, RNs & RRTs since 1994. Over the years, we have grown our business footprint to cover 5 states in the Southeast and Mid-Atlantic. We provide ITLS, Pedi-ITLS, ACLS – Experienced Provider, National Registry Refresher, Critical Care, Neonatal Resc., PALS, PEPP, AMLS, GEMS as well as courses we have designed – Pedi-Trio (PALS, PEPP & Pedi-ITLS), “Complex Airway” and “Introduction to Casualty Simulation (Moulage)”. Our Instructor team would be happy to talk to your agency about bringing our classes to your location. Rescue Essentials is a premier supplier of custom operational specific medical kits, and supplies. We serve the tactical, military, wilderness, SAR and civilian communities. At the heart of every great company, you will find an idea that spawned a product, a product that fostered a culture, and a culture that created a brand. A brand that stands uniquely alone in a crowded marketplace. SAM Medical is no exception. What began as a spark of innovation, when founder Dr. Sam Scheinberg saw a groundbreaking medical innovation in a simple gum wrapper, is now a globally recognized brand of emergency medical solutions that is distributed in over 60 countries. Military, law enforcement, EMS, fire & rescue, hospital staff–if someone is in the hurt business, odds are they know and trust SAM Medical. 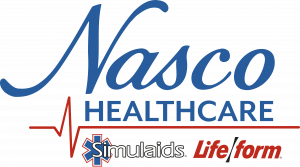 Simulaids by Nasco Healthcare: Providing relevant, innovative simulation solutions for medical education. Simulaids by Nasco Healthcare combines over 125 years of experience between Simulaids and LifeForm®, trusted resources for improving medical education of Healthcare professionals and learners. We offer the widest variety of training equipment in the industry, from skills trainers to hi-fidelity patient simulation systems. Simulaids is never satisfied, always looking for better ways to train people who impact lives daily. We are proud to take part and support ITLS 2018, featuring our cost effective and innovative trauma management training systems for community level to advanced trauma management interventions. SSM Health Saint Louis University Hospital is a 356-bed quaternary and tertiary hospital specializing in organ transplants and home of the Mid-America Stroke Network. A teaching hospital, SSM Health Saint Louis University Hospital is home to SLUCare physicians and students of Saint Louis University Medical School. An ACS Level I trauma center for both Missouri and Illinois, Saint Louis University Hospital is accredited by the Joint Commission and designated as a Primary Stroke Center. St. Louis Children’s Hospital has maintained its position in an elite group of pediatric hospitals as a verified Level 1 Pediatric Trauma Center by the American College of Surgeons (ACS). St. Louis Children’s is the only pediatric hospital to receive this designation in both Missouri and Illinois. Strategic Operations provides “Hyper-Realistic®” medical training simulations, services, and products like the Cut Suit®, using state-of-the-art movie industry special effects, role players, and construction techniques. 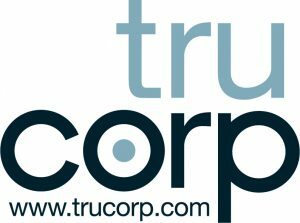 TruCorp have over 15 years’ experience within the medical simulation market. We are committed to the development of anatomically correct products to deliver medical best practice. TruCorp AirSim airways are the standard for airway management training. TruCorp have designed, engineered and produced a wide variety of training manikins for airway management on both adults and paediatrics, and Trauma skills. This most recent product addition, the TruMonitor app, allows users to deliver training effectively simulating a patient monitor. The Washington University in St Louis EMS Fellowship started in 2006, and received full ACGME accreditation, in 2012. The program offers an education unmatched elsewhere in preparation for the complex world of physician medical oversight of any EMS system including ground ambulance, air ambulance, fire/rescue, law enforcement, and disaster management arenas. Fellows are trained by a premier academic institution, with extensive hands-on field work and the opportunity to excel in broad areas of their interest. For more information about our program, see the program details and fellowship activities. For additional information about our program, please contact us at emsfellowship@wustl.edu. QuikClot hemostatic devices can help patients survive traumatic blood loss. The unpredictable nature of patient care requires a reliable way to achieve hemostasis.